‘MAHAGAMI’ Mahatma Gandhi Mission Sangeet Academy, Aurangabad was established in 1993 as a Gurukul of Indian classical music and dance. Evolving consistently in these years, MAHAGAMI has redefined its existence today not just as a GURUKUL, but also as an important center for promotion, dissemination and research in arts. A member of the International Dance Council, UNESCO. MAHAGAMI Gurukul forms a unique synthesis of the modern technological educational aids and the intense value based training system of the ancient Gurukuls. With an aim to promote traditional arts and artists and to create a refined audience for Indian arts; MAHAGAMI has organized around 1000 arts events involving some of the talented promising artists, renowned artists and Gurus of this period in addition to imparting training to over 2000 students of Kathak and Odissi based on Guru-shishya parampara. The vibrant annual calendar of MAHAGAMI pulsates with in-house baithaks and concerts of students & artists; workshops, seminars and festivals in MAHAGAMI; performances of the students and Gurus in prestigious festivals, presentation of dance productions, organization of academic and artistic events and implementation of research & documentation projects. MAHAGAMI artists have performed in prestigious festivals in India and abroad. Apart from this , multi-media art awareness program named ‘ANUBHUTI’ is being frequently conducted by MAHAGAMI team for various educational, social and corporate organisation. MAHAGAMI conducts periodic workshops for seekers of all age-groups and all levels. GURUKUL EXPERIENCE program is frequently conducted for the cultural seekers (tourists). 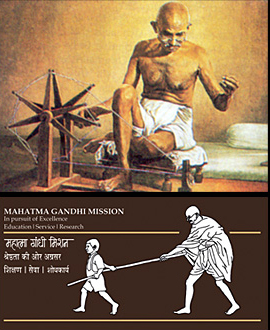 Powered by the management of Mahatma Gandhi Mission, a charitable and educational organisation, MAHAGAMI, the first art-organisation in the world to be awarded the ISO 9001:2000 certification, believes in the strength and intensity of the ancient tradition, yet evolving a new tradition……….a gurukul of the contemporary period.